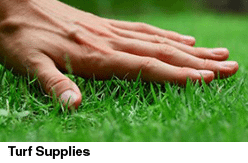 Our focus at Turtle Nursery and Landscape Supplies is on providing great customer service, competitive prices and an extensive product range of landscaping supplies in Sydney. Whether it is soils, mulch, gravel, pebbles, pavers or timber, we have all of your landscaping needs covered. Most bulk products (sands, soils, mulches) can be delivered the following day after ordering. We can often deliver the same day if an order is placed in the morning but this is not guaranteed. We require 1 to 2 days notice for turf or bulk a bag orders and generally up to a week for bricks blocks or pavers. When items are out of stock there may be additional delays. No, not necessarily. If the load is paid for, if we have instructions or you leave a sign showing where to tip the load then there is no need for you to be home to receive the delivery. Can I pick up a Load ? Yes, come along with a trailer or ute, we can tip in your load of sand, soil etc with our front end loader. No, we do not stack firewood. 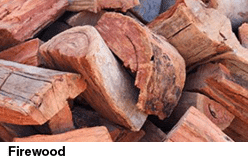 We tip firewood off our truck and will endeavor to get it as close as possible to where you would like it, but we cannot stack the wood for you. No, not necessarily. We do not store our firewood undercover, so if it has been raining the wood will be wet. We cannot deliver at exact times, but we can deliver within reasonable windows for sand and soil deliveries. For example, early morning 7-9am, late morning 9-12 noon, early PM etc. Firewood deliveries can be made AM or PM. Turf deliveries are much more difficult to arrange a time for as they are usually done as part of a large run on a truck with a forklift. No, we supply only. Try laying the turf yourself – it’s the easiest part of the job. Preparing the ground is the hard part. Can it come in a 1 tonne Bulka Bag? Yes it can, but additional fees apply for the bag and labour involved. We also need extra notice to have the product bagged and delivery may take longer depending on unloading. Generally, it is not economical to get Bulka Bags unless you are craning it on top of a building, for example. Any further questions please ring us. While every effort will be made to answer emailed questions about our garden supplies in Sydney, there is often additional information we require which leads to a long drawn out email conversation. One quick phone call can usually answer all so give us a buzz!